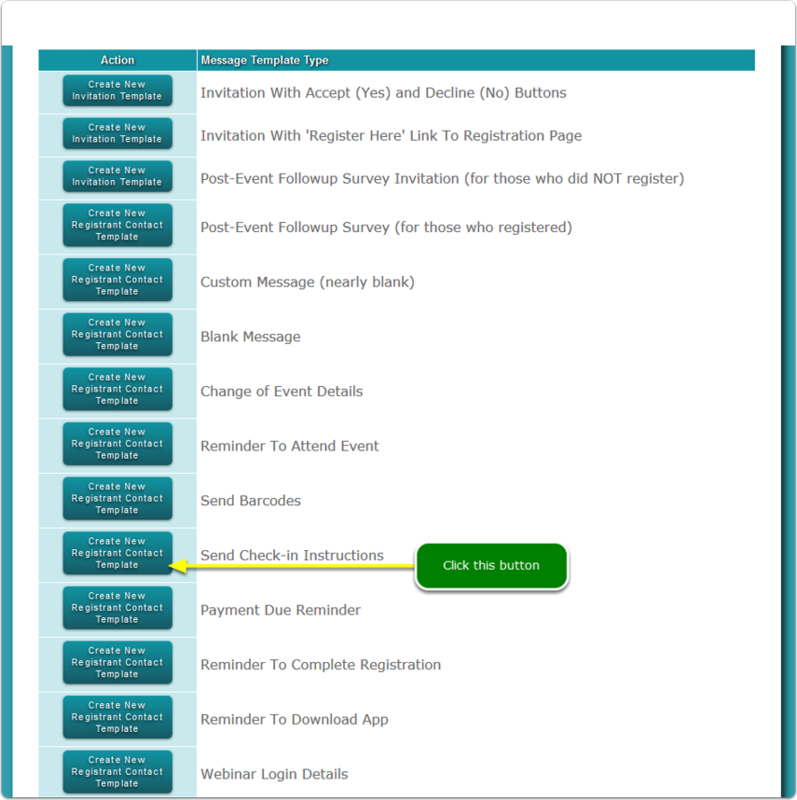 Help Documents - Version 5 On-site Kiosk ManagerHow do I send check-in procedures? 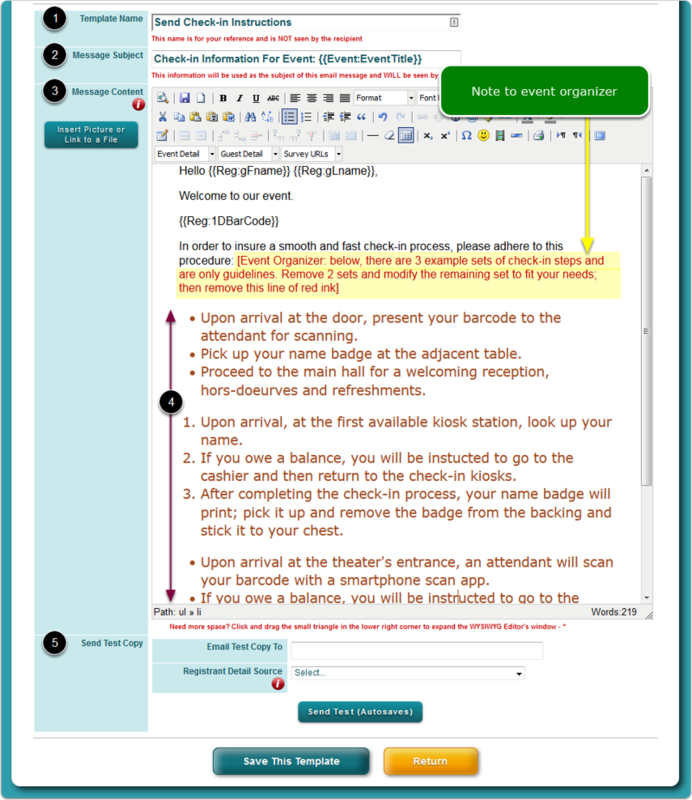 If you want to communicate your check-in procedure to your registrants so that they will be prepared when they arrive, there is an email template you can use. Where is the Email Wizard tool located? 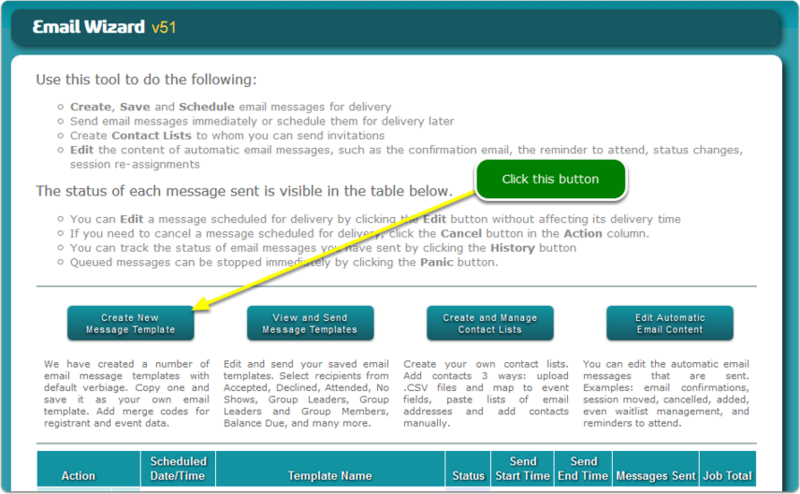 Click the Create New Registrant Contact Template button to the left of the Send Check-in Instructions template. Prev: How do I send barcodes?